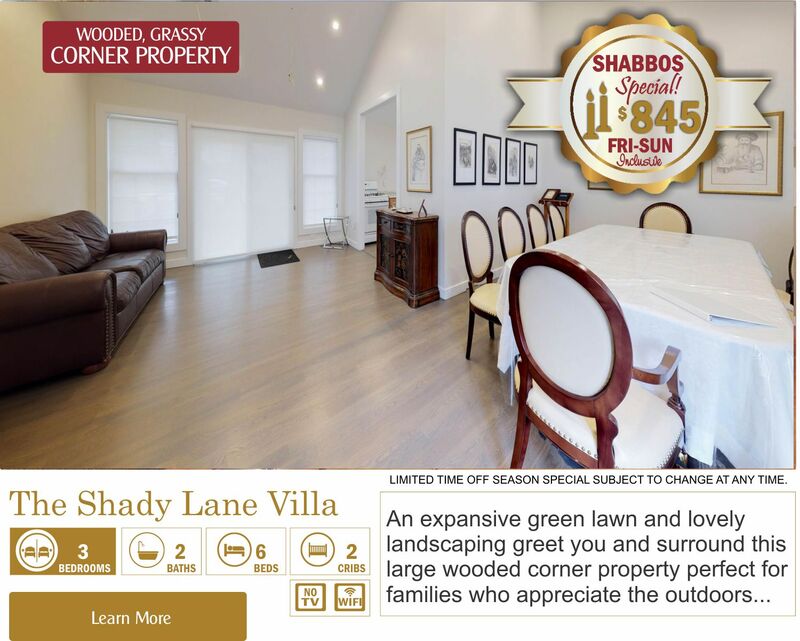 Click on any property picture to see more information, complete photo gallery, property description, amenity list and more. 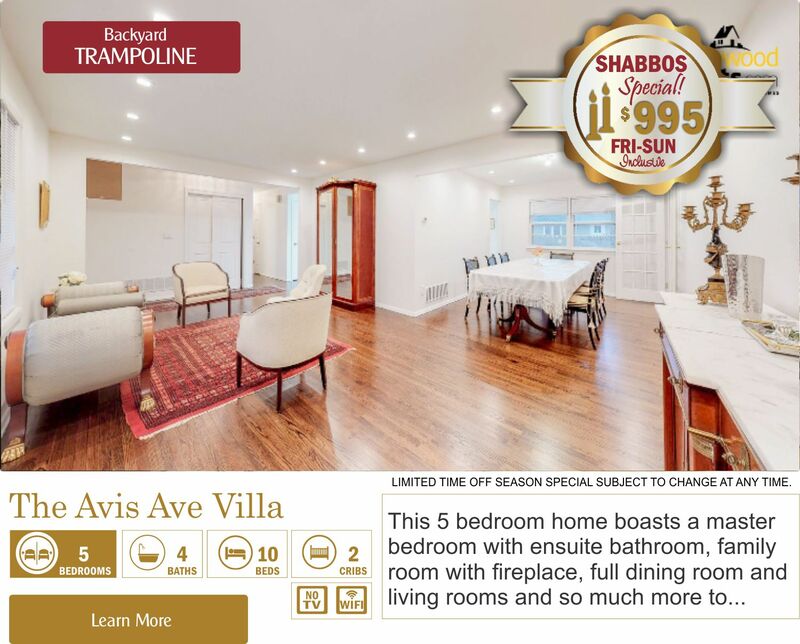 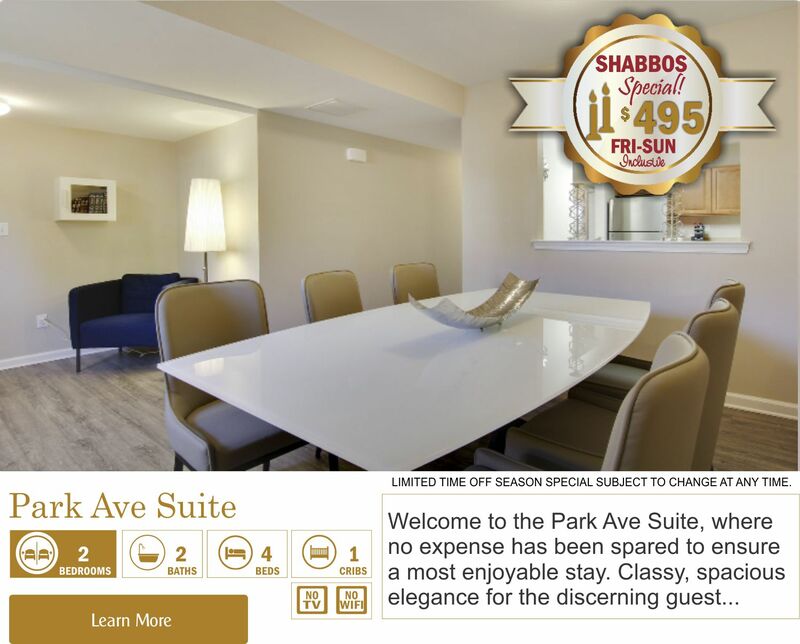 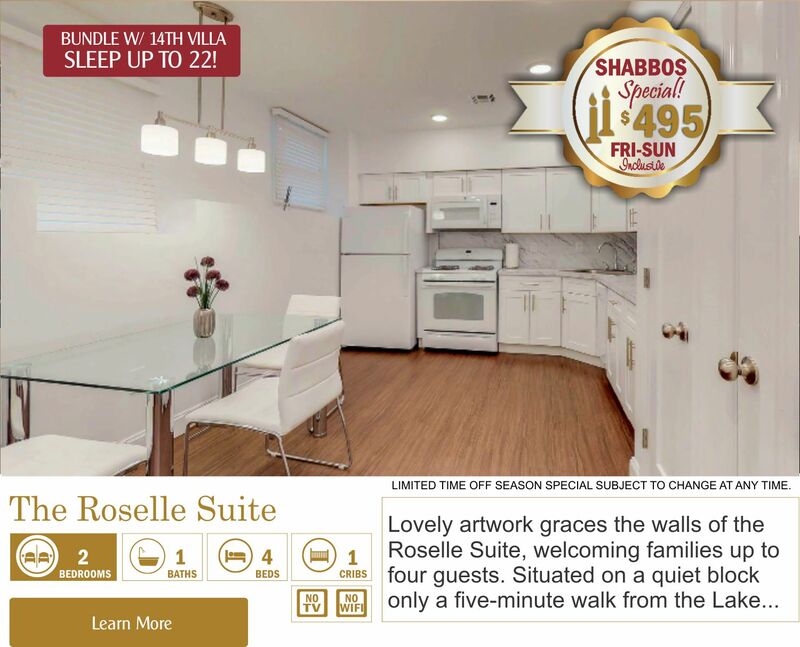 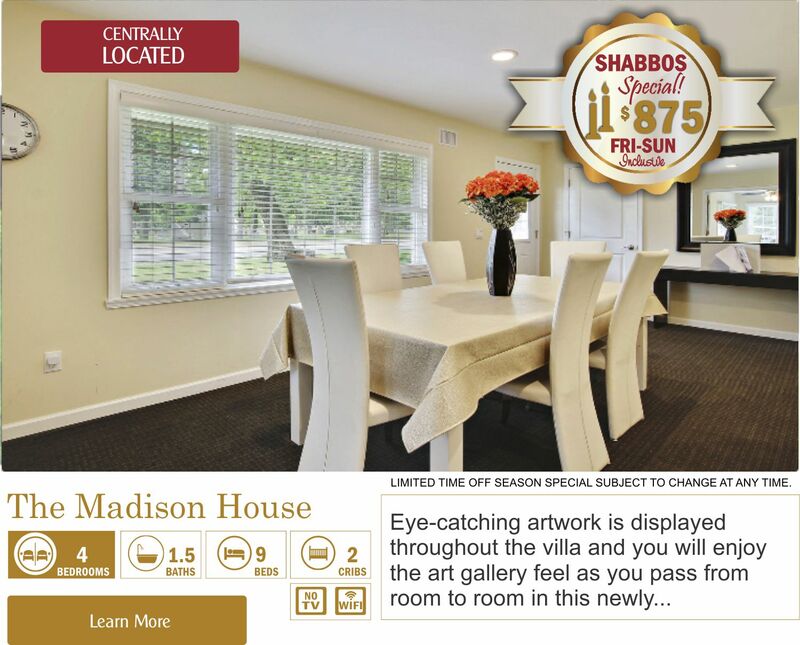 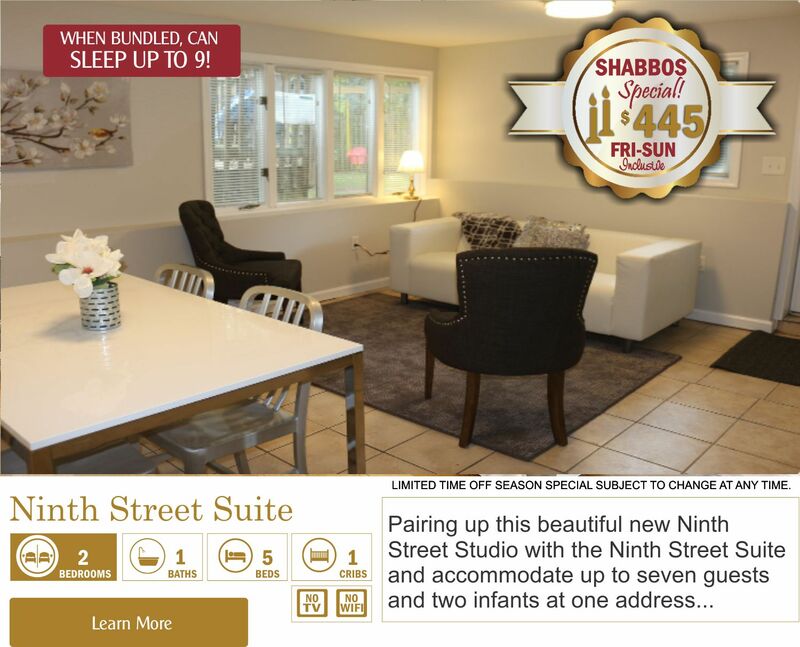 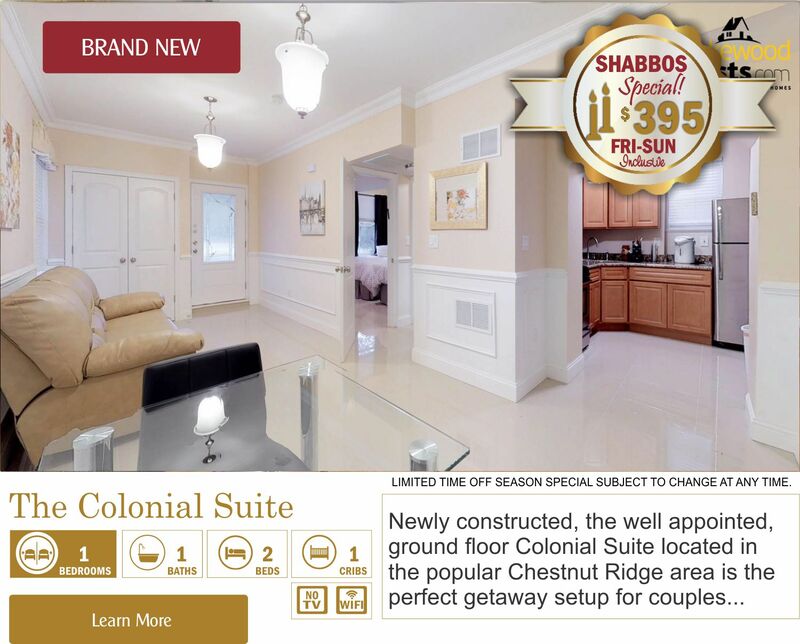 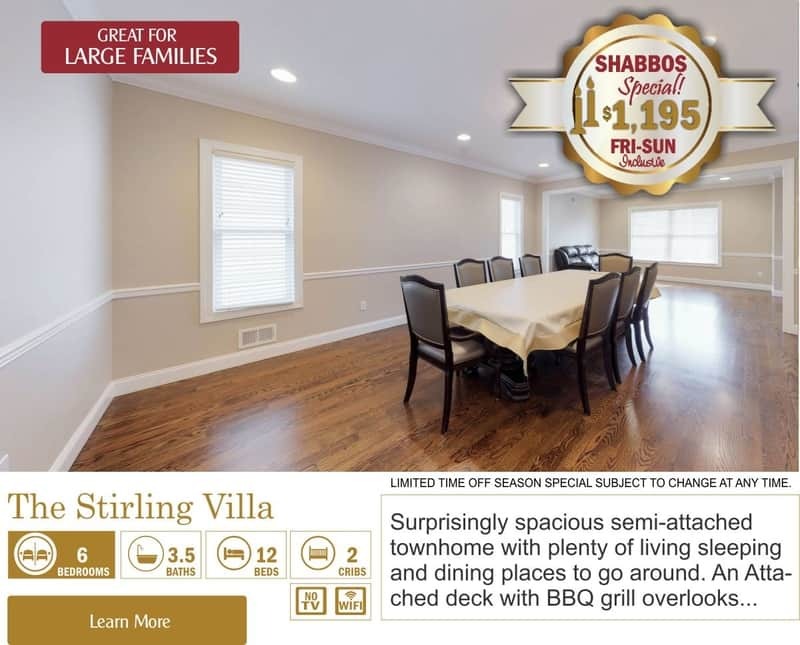 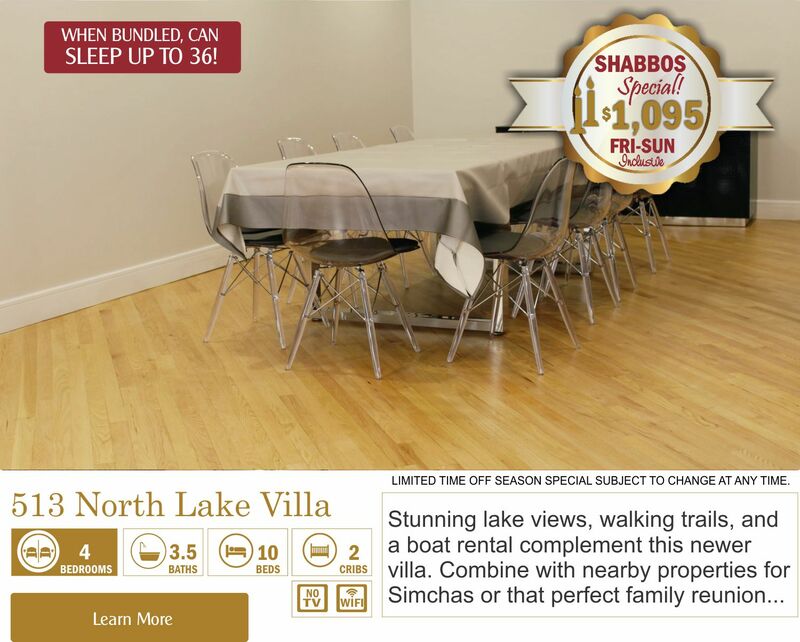 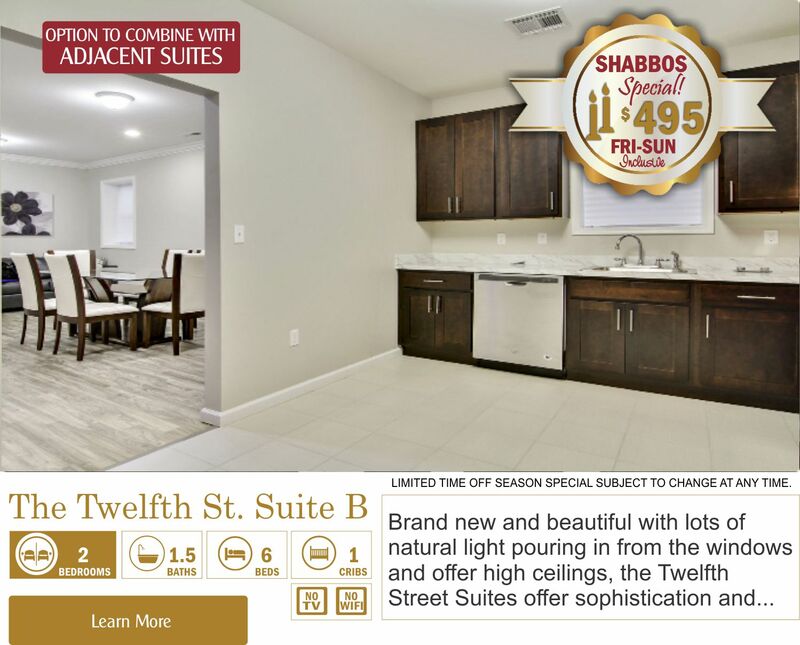 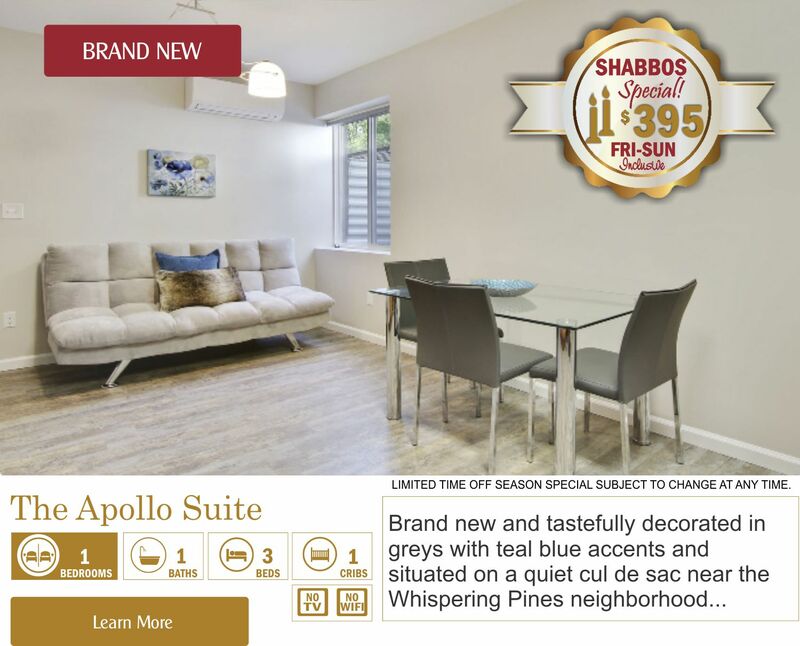 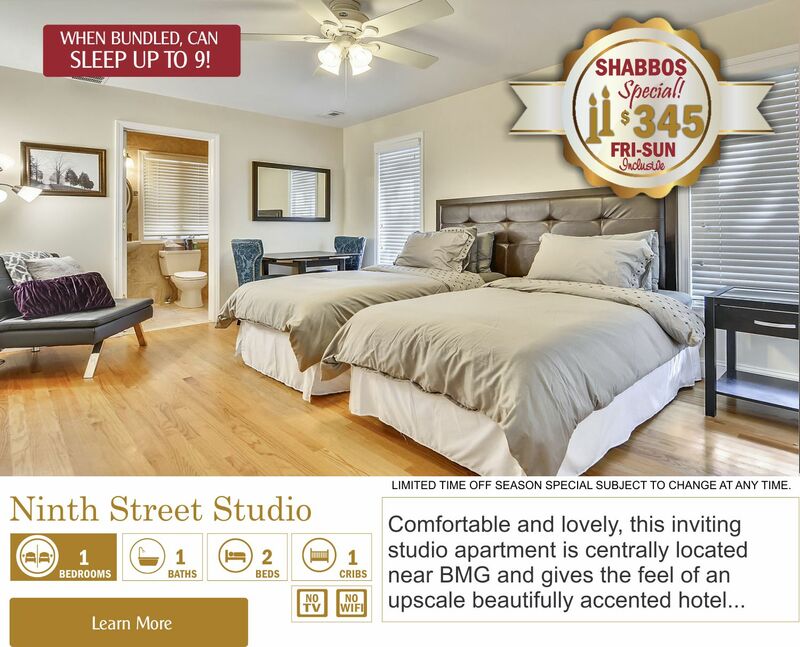 Each of our properties features a complete kosher kitchen and all necessary shabbos amenities for a perfect shabbos getaway! 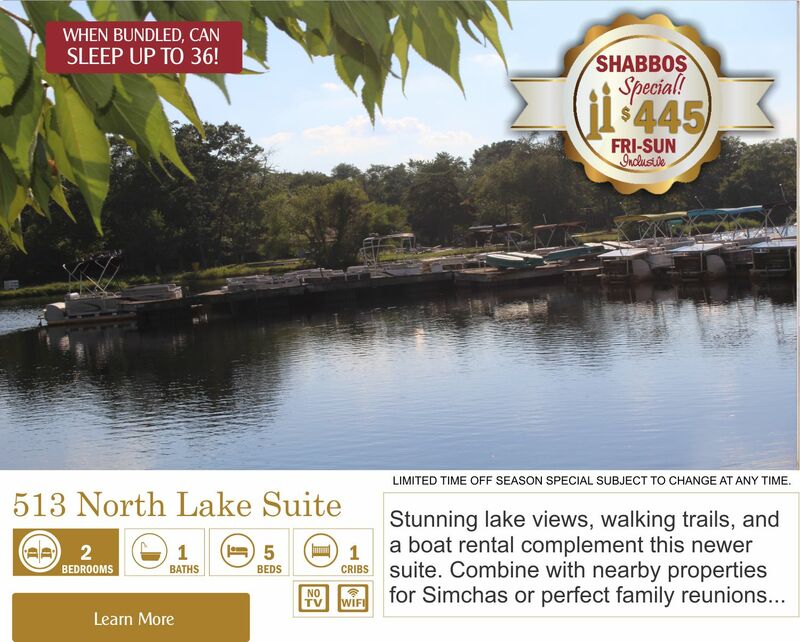 Prices below are all-inclusive and comprise of 2-night vacation rental, insurance, and cleaning fees. 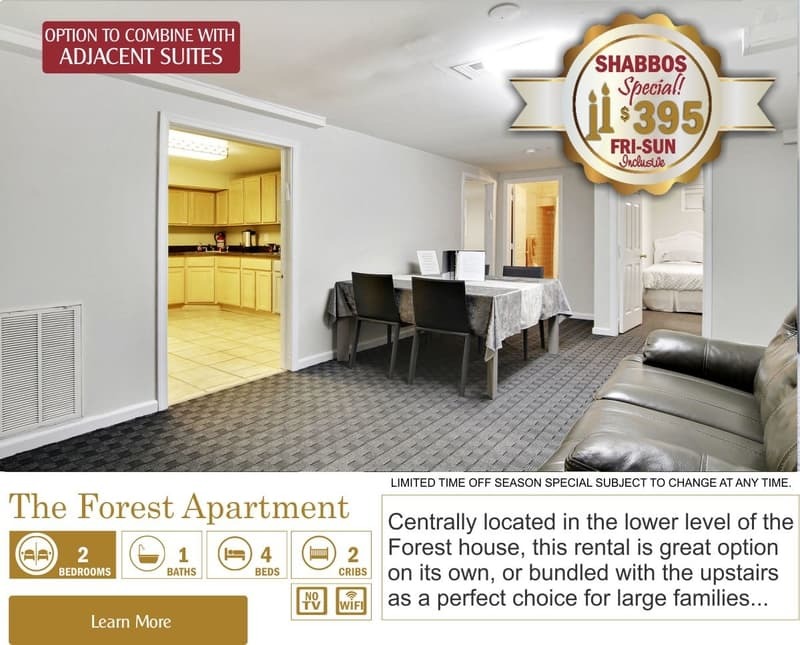 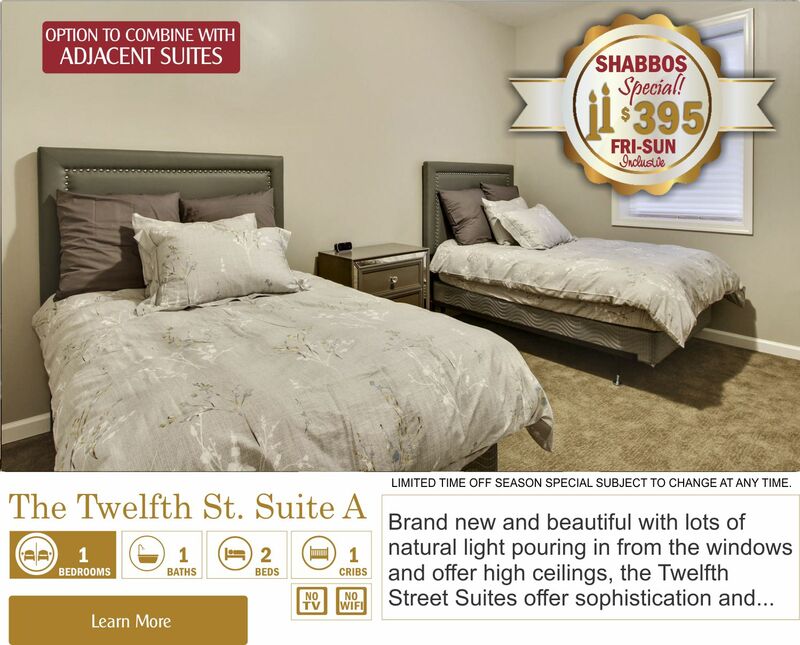 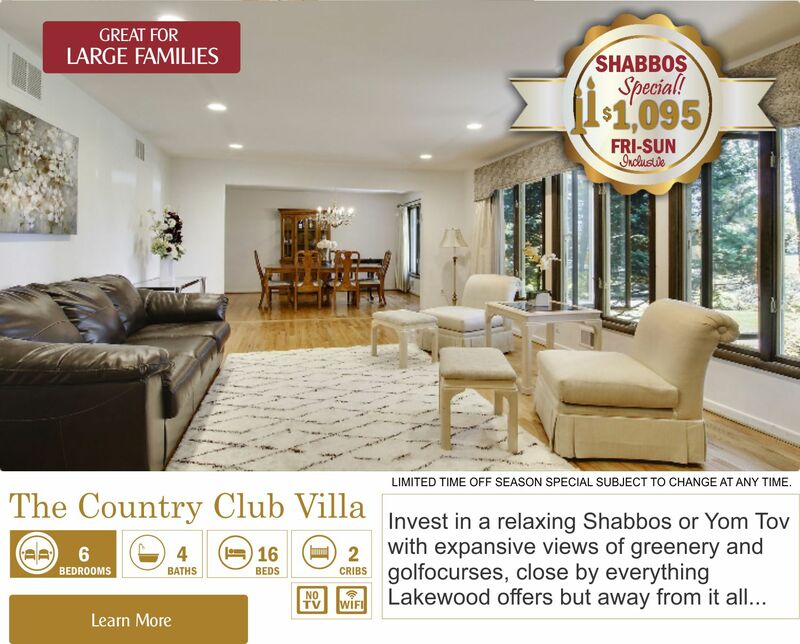 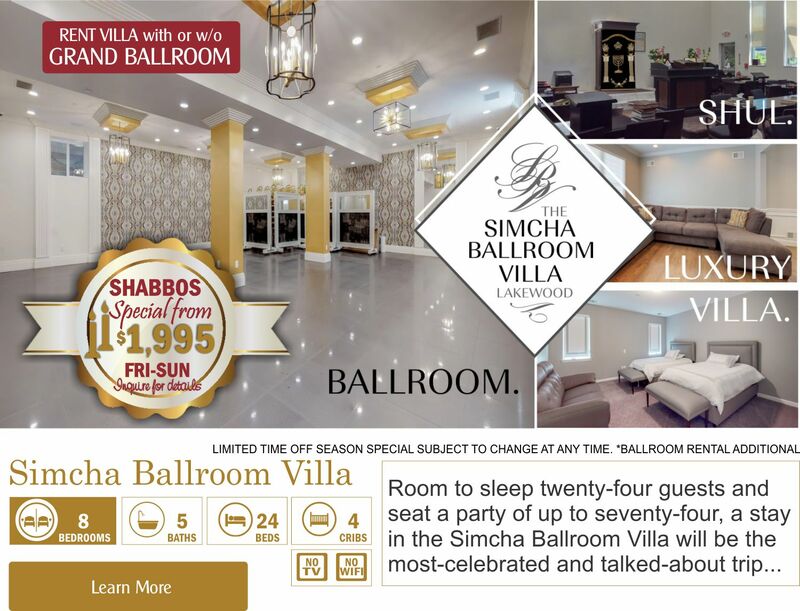 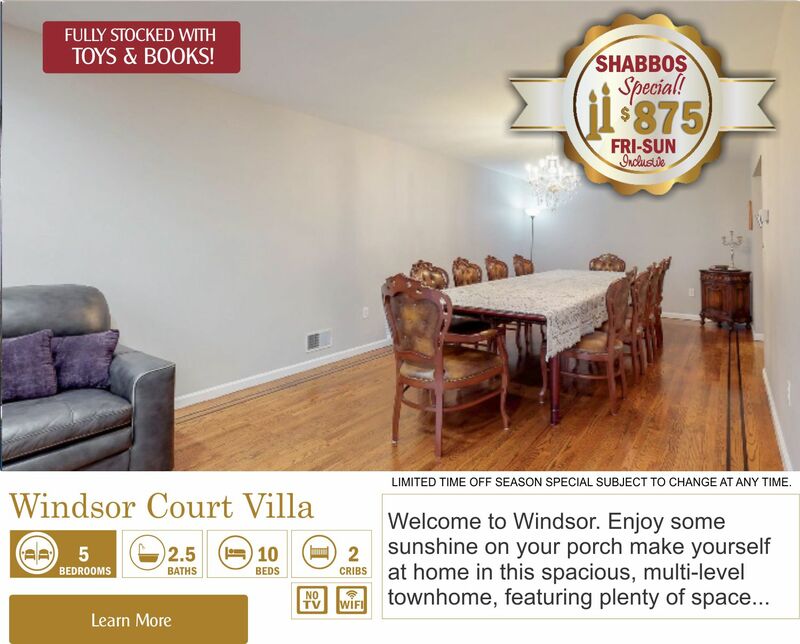 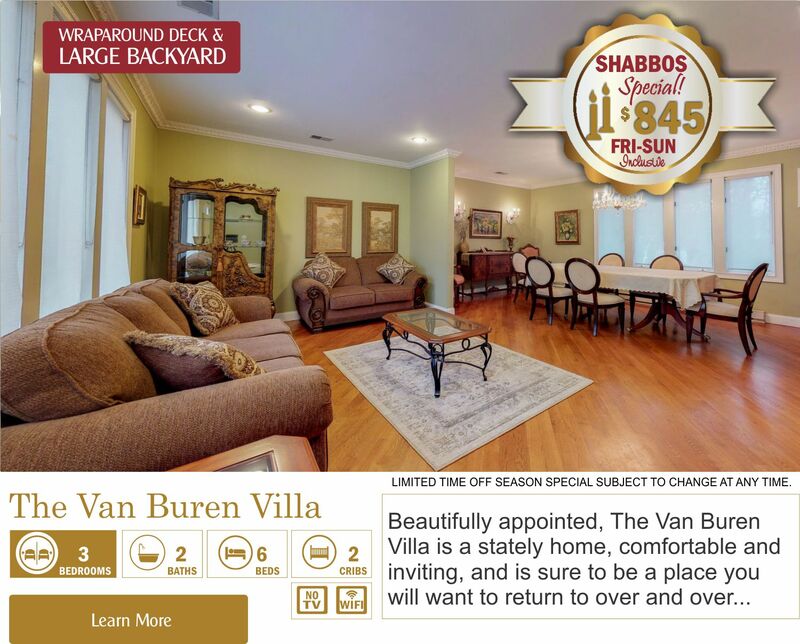 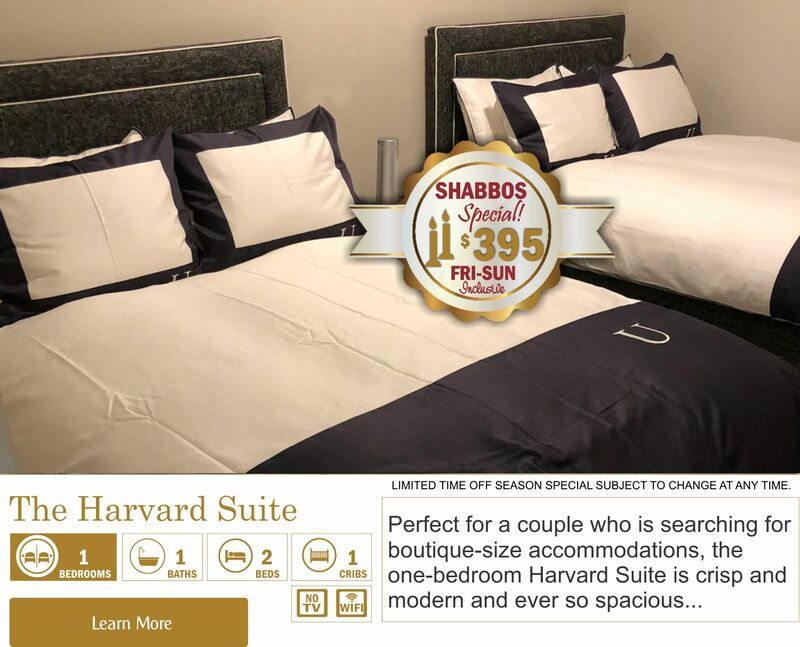 Shabbos food not included in the rate, but can be arranged through our concierge department for fee-based service. 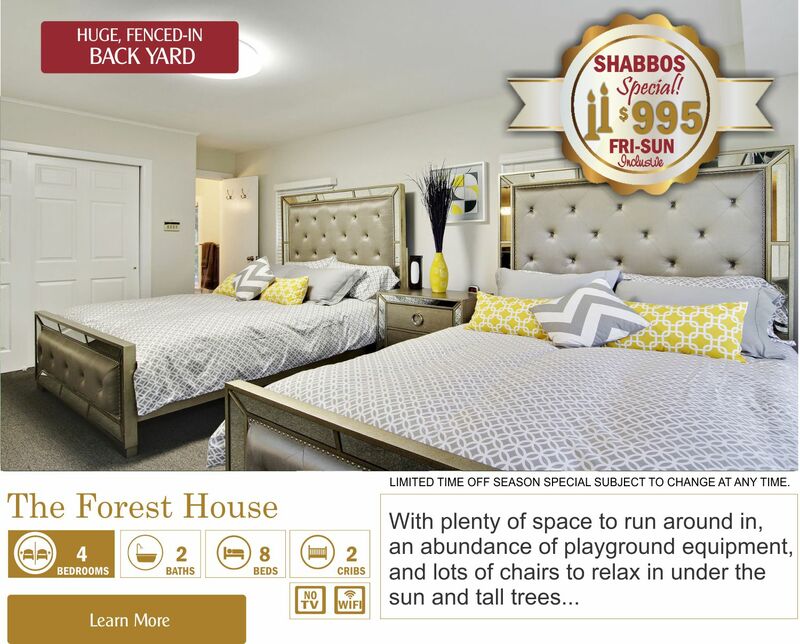 Make sure to check back often on our website for additional listings. 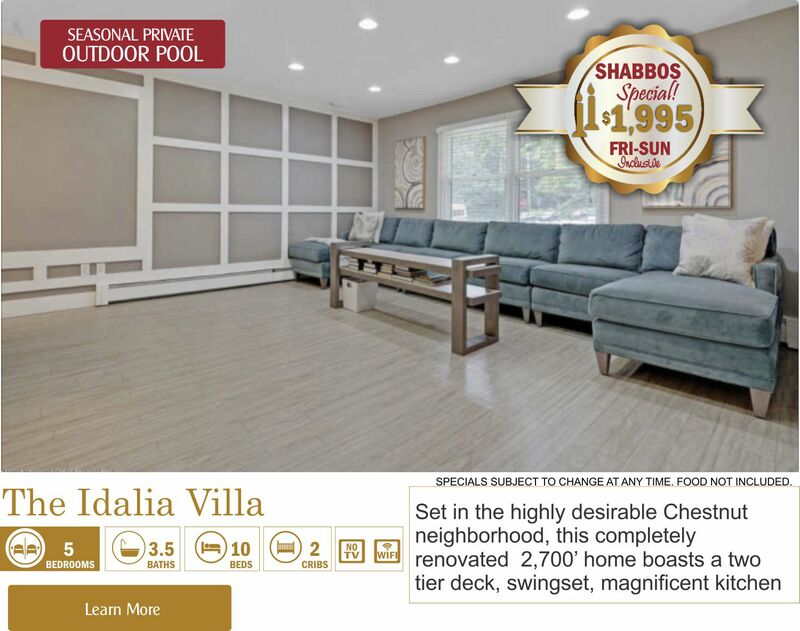 We are constantly adding luxury properties to our inventory as well as overseeing construction of new villas in the neighborhood. 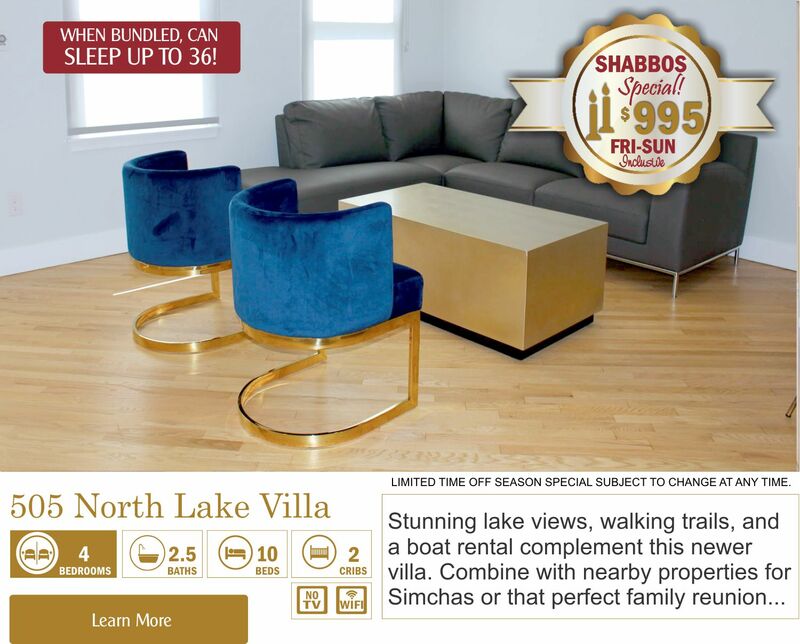 Rates quoted are for payment made by check, cash, Chase quickpay, direct deposit, or drop off in Lakewood, Boro Park, Williamsburg or Passaic. 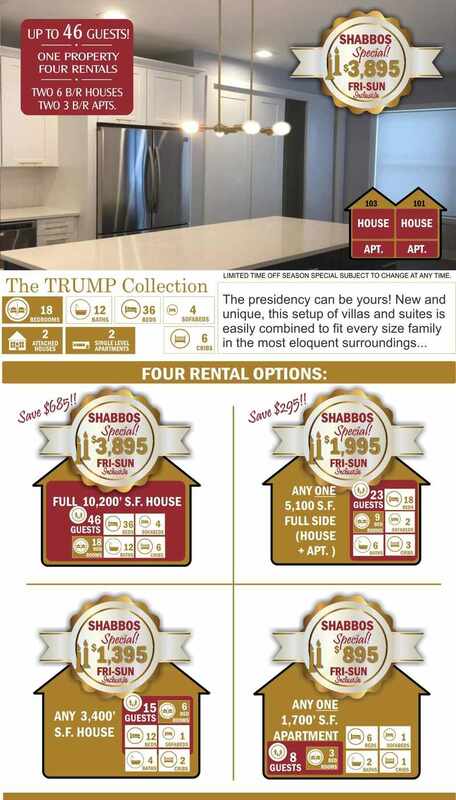 Credit card payment is subject to a 3.75% convenience fee. 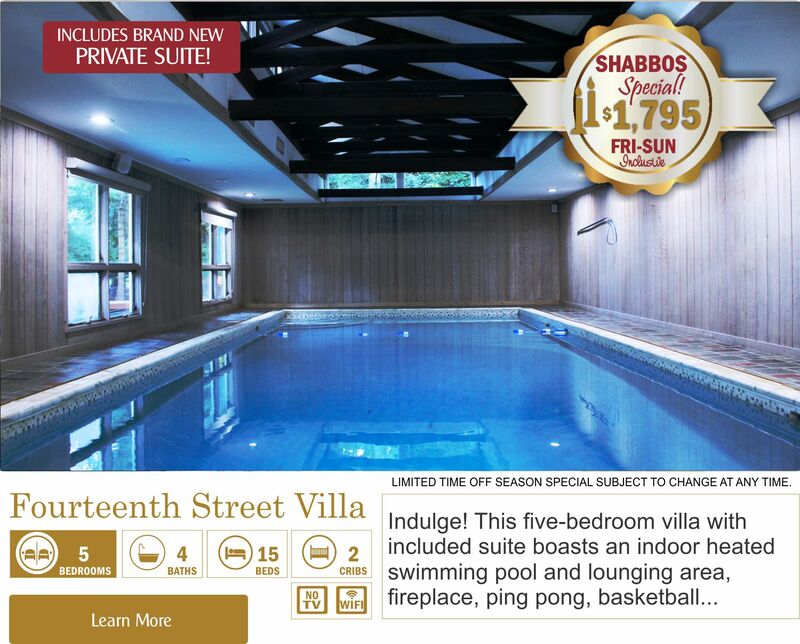 Other fees may apply. 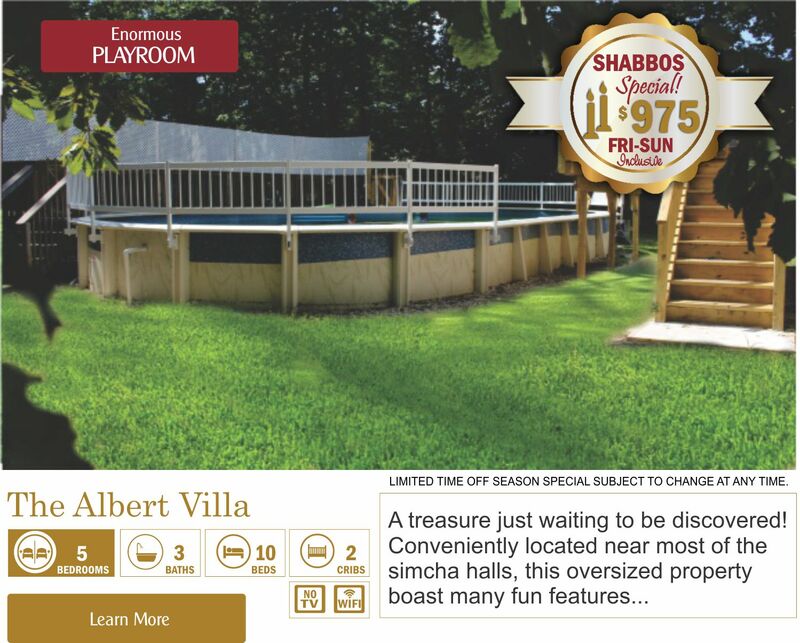 Did you know we have many beautiful kosher properties with private pools and more in the North Miami Beach, Boca Raton, Ormond Beach, and the Catskills area as well? 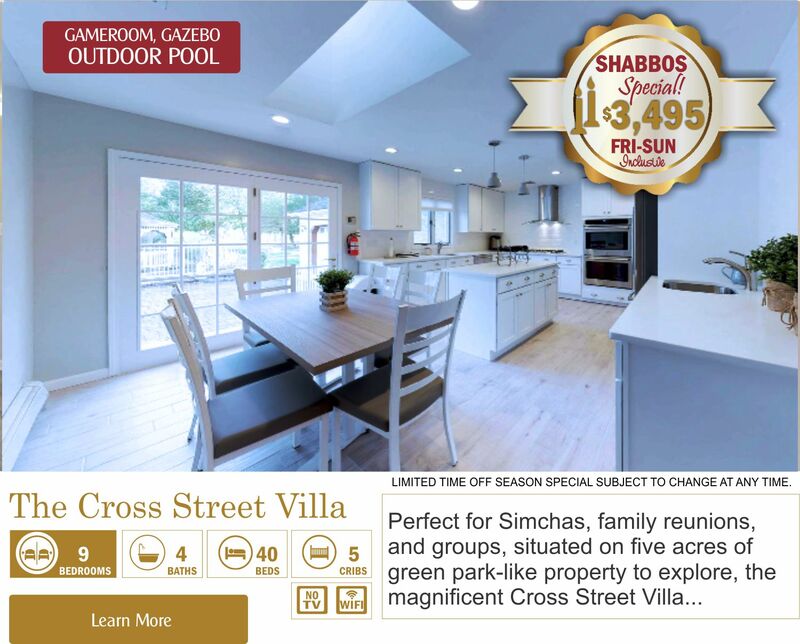 It’s never to early to plan ahead….some villas already booked for Sukkos ’19! 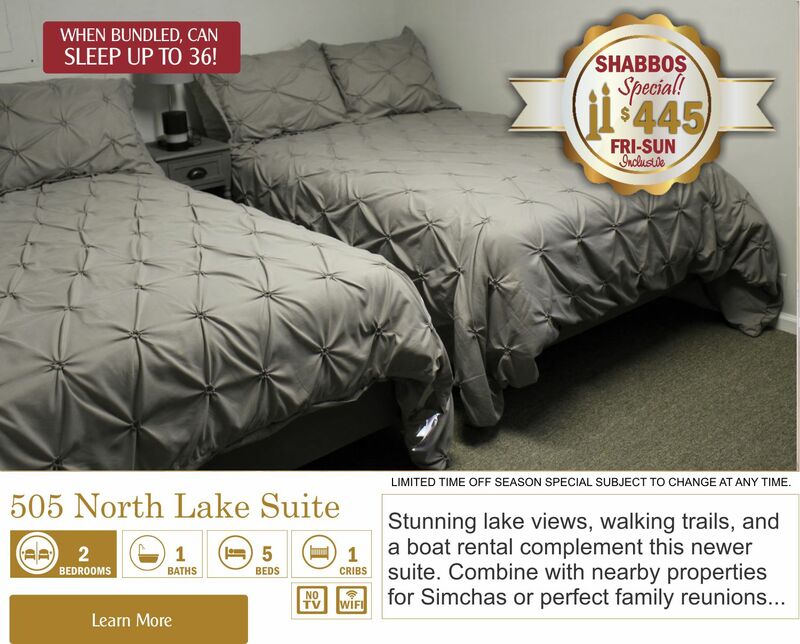 Check out our inventory and consider enjoying Sukkos in beautiful and spacious comfort this coming year!